Researching best practice in teaching and learning we saw that the most successful schools use in-house publications to promote and share best practice. 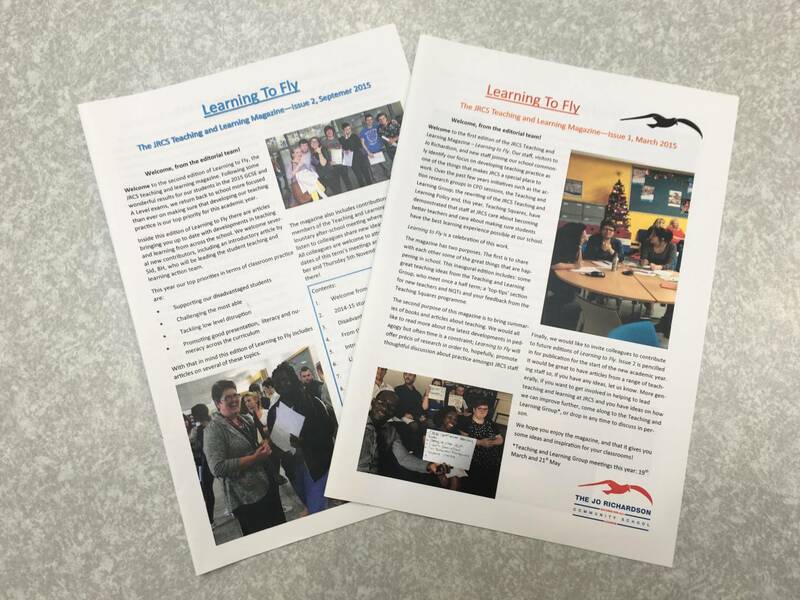 As we strive to become a school recognised for the innovative and rigorous approach we take to teaching and learning our staff jumped at the chance to become involved in our own teaching and learning magazine, “Learning to Fly”. Our first issue included articles on our hugely successful teaching squares programme, which saw over 70% of teaching staff volunteer to give up their own free time to watch each other teach, it also featured whole school literacy and the new “Progress 8” performance measure. Issue 2 featured feedback from our school-wide Student Voice on teaching and learning as well as an introduction from Sid in Year 8, who leads our Teaching and Learning Student Action Team! Both issues include articles, ‘from the Teaching and Learning Group’.